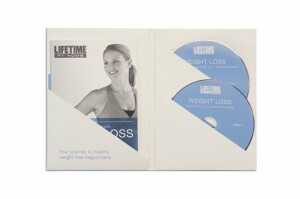 The disc set pictured here is an extension of the Lifetime Fitness brand to reach beyond the club and into the homes of its members. The packaging solution from Cue is representative of the Lifetime Fitness brand by promoting and utilizing natural materials and featuring real people and customers. The case is not your ordinary injection molded DVD case, but a customized folder that shows photographic images and inspirational text to encourage the user. 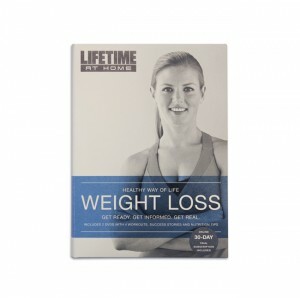 The company motto “The Healthy Way of Life” is emphasized in the graphic design and the healthy way to lose weight DVDs are displayed in a nice custom folder that folds flat for convenience and esthetic.